A total of five head coaches were fired this season, with Gary Kubiak being the sixth to exit the ranks after retiring Monday. It’s a vicious cycle in the NFL, but success is necessary in order to remain employed, and that’s not going to change any time soon. The guys who survived this season are just the next ones up in the hot seat, so it’s never too early to take a look at some of the names who will be there in 2017. This one might be a bit of a surprise, seeing as Caldwell has led the Lions to the playoffs twice in three years and has them headed in the right direction. He’s not an overzealous coach with strict discipline guidelines, and players appear to love playing for him. However, the Lions haven’t won a division title since 1993 and patience could be wearing thin. 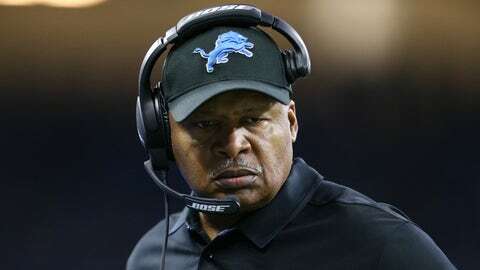 Caldwell could be the odd man out if the Lions take a step backward in 2017, regardless of whether it's his fault. At some point, Detroit has to make a deep run into the playoffs with Matthew Stafford at the helm, and that’s not likely to happen this season. Keep in mind, too, that Caldwell predated current GM Bob Quinn, who might eventually decide he wants his own hire in place. 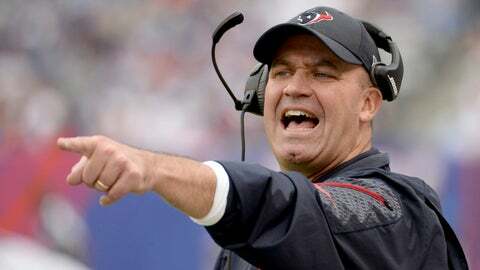 It was reported earlier this week that the Texans and O’Brien may part ways if Houston loses its first playoff game. Now, that’s just one report, but it signifies a bit of unrest among the Texans organization. He’s changed quarterbacks almost as often as the weather, and has also reportedly gotten into it with both Brock Osweiler and his coaching staff. There appears to be some tension in Houston, and a letdown in 2017 would bring more upon O’Brien and the Texans’ front office. 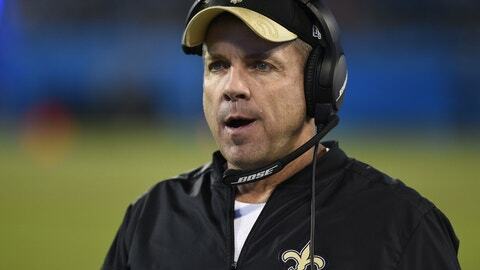 Payton has been linked to the Rams in recent weeks with Jeff Fisher out of town, but let’s pump the brakes on that a bit. It would likely require a trade for draft picks, which the Rams don’t have many of due to last season's Jared Goff swap. However, it is conceivable to see Payton on a different sideline in 2018. He’s been in New Orleans since 2006, and though he’s had success there in the past his recent track record isn’t great. The Saints have endured three straight 7-9 seasons, and Drew Brees isn’t getting any younger. 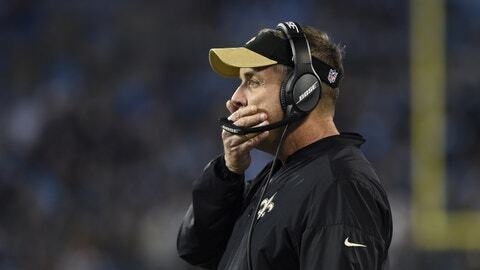 If Brees were to retire or move on to a new team, Payton could do the same. He needs to rebound and at least make the playoffs in 2017. Yes, Harbaugh has a Super Bowl ring. And yes, he’s a good coach. But since winning it all in 2012, the Ravens are 31-33. They’ve made the playoffs just once in the past four years, and the roster isn’t getting any better. Joe Flacco has struggled with the team’s boring play calling, there’s a serious lack of a running game and Steve Smith is retiring. 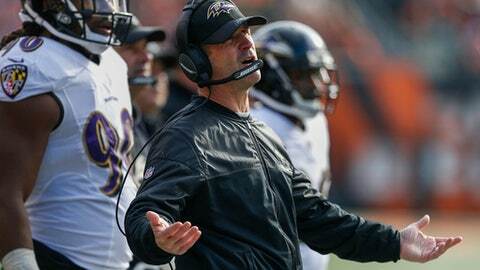 Harbaugh needs to bounce back from a second consecutive sub-.500 season with a playoff berth, if not a division title, in 2017. He’s not going to be squarely on the hot seat next season, but the Ravens may look to make a change if he falters again. Lewis is the second-longest-tenured head coach in the league; only Bill Belichick has been with his team longer. 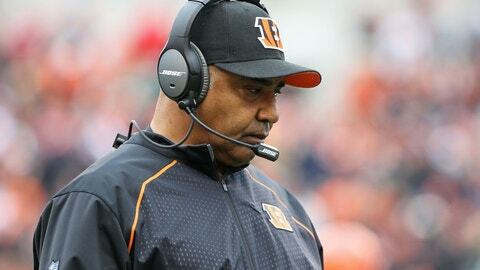 Yet, despite his lengthy tenure with the Bengals, Lewis has yet to win a single playoff game. Furthermore, his team regressed drastically this season after winning the AFC North in 2015. His name popped up a handful of times this season when it came to coaches on the hot seat, and he’ll almost certainly find himself in the same discussions next season. If the Bengals don’t compete for a division title in 2017, they could opt to make a change and shake things up. He has only one year left on his contract. Let’s make this clear: The Browns were smart to keep Jackson for another year. It shouldn’t have even been a question. 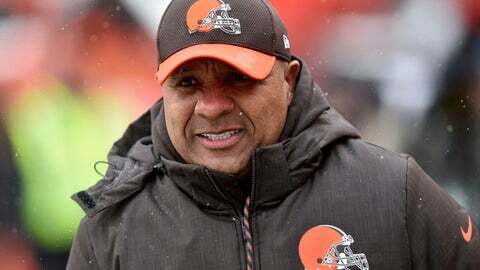 However, patience will wear thin in Cleveland if the Browns start the year, say, 0-8 again. They need to get off to a good start in 2017 to show promise, and you can bet Jackson will do everything he can to make that happen. Unfortunately for Jackson, he needs time to rebuild and mold this team. The Browns had more than 10 rookies make the active roster in 2016, and with the litany of picks they have this year, there are sure to be more young additions in 2017. 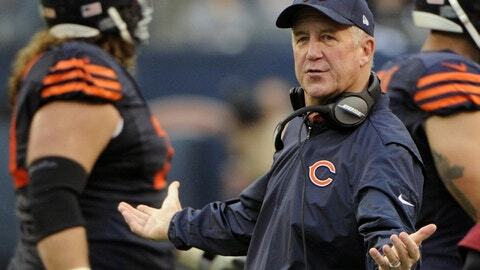 Fox got a vote of confidence from the higher-ups in Chicago after a disappointing 3-13 season in his second year as the Bears’ head coach. Injuries and an overall lack of talent played a role in Chicago’s struggles, but some of the blame has to be put on Fox, who’s just 9-23 with the Bears. Fox might not be expected to take the Bears from 3-13 to the playoffs in one year, but they have to at least come close to finishing at or above .500. Finding a quarterback will be key, of course, as will hitting on their first-round pick, but they have to perform better on the field – and that begins with Fox. There were rumblings that the Colts would move on from both Chuck Pagano and GM Ryan Grigson after this season, but that hasn’t happened (yet). 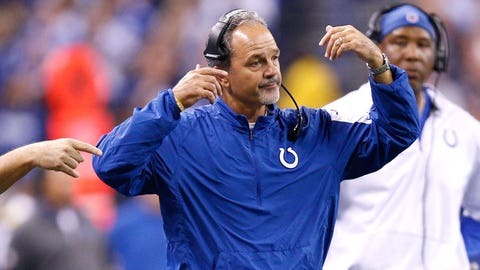 Instead, it appears the Colts are inclined to give Pagano another shot, just as they should. Next season could be his last, though. After missing the playoffs in back-to-back years, all the pressure will be on Pagano to make the postseason in 2017. If he can’t at least net the Colts a wild-card berth next year, his tenure in Indianapolis will be over. A team with Andrew Luck and T.Y. Hilton can’t afford to miss the playoffs in three straight years, especially in the always-weak AFC South. Bowles was on the hot seat toward the end of this season, so you can bet he’ll remain there in 2017. The Jets are a mess with overpriced veterans across the roster and instability at quarterback, so next season isn’t likely to be much better – regardless of whether that’s Bowles’ fault. Year 3 will be telling of his ability to be a head coach rather than just a defensive coordinator. 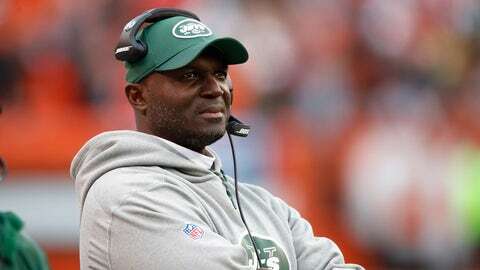 And with the way New York gobbles up coaches and spits them out, it wouldn’t be a surprise to see Bowles gone by Week 12 if the Jets struggle.